I’m not a poet, first of all. I actually sort of mock poetry (unless it’s by Dr. Seuss or Edward Lear), so sorry to all you poetry lovers/writers. Except recently I’ve been writing poetry about people at Linn Benton, just for the fun of it. People who I don’t really know, but see around. 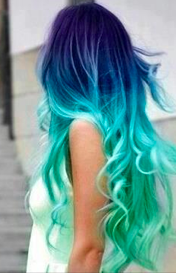 Yes to the first question (at least I think it looks like mermaid hair), and no to the second question.